Imaginary play is often the driving force behind our learning. Stories, drawings, and group play are all derived from the interests of our children. And lately pirates, knights, and fairies have dominated our play. I should have known that with creative kids like ours, DIY pirate swords for imaginary play were bound to happen eventually! 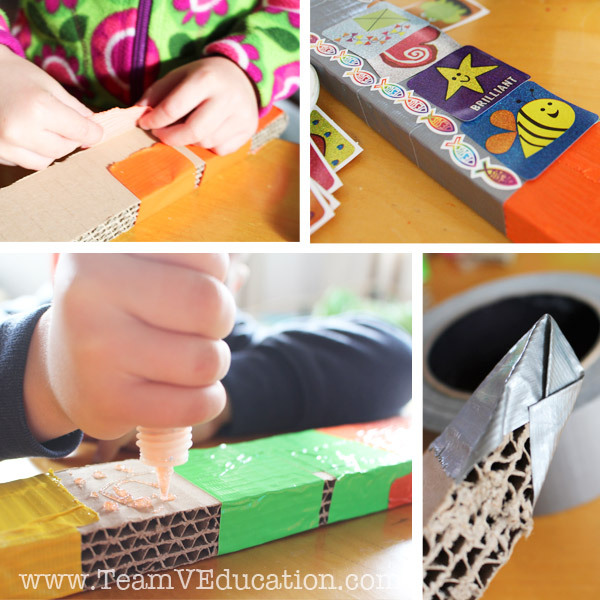 This is a simple yet engaging art activity that uses scraps of cardboard and various tapes and stickers to create a masterpiece that not only looks great, but is useful too. 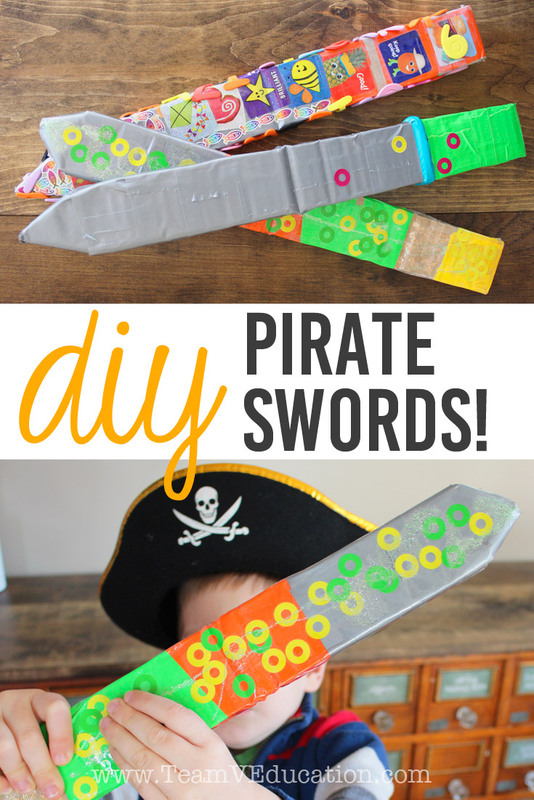 The materials used in creating these pirate/knight swords can vary depending on your child and/or the resources you have on hand. The list above is what I managed to dig out of our art pantry. 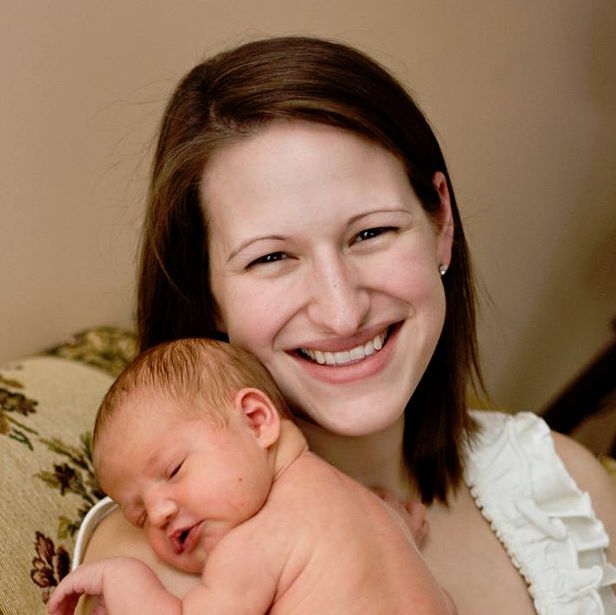 Have an adult (that’s probably you!) cut out the shape of the sword. 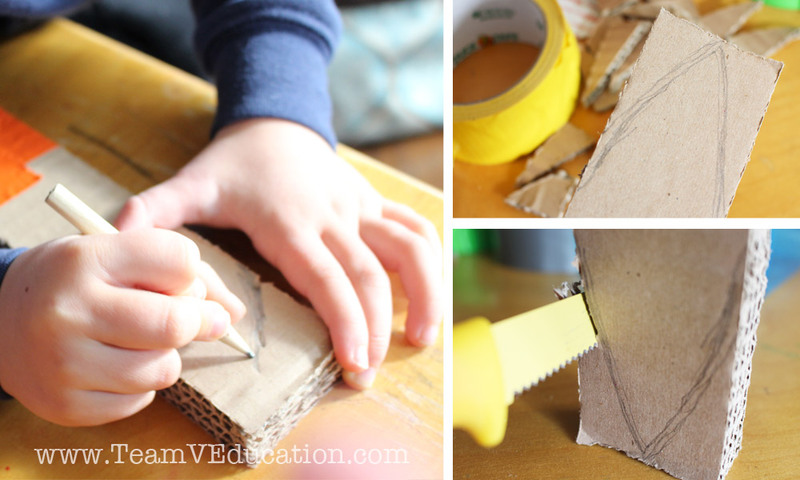 I used a serrated knife to cut down some strips of cardboard that were left over from a shipping box. You can see that our cardboard is several pieces thick – it came like this. You might want to tape several pieces together to give it some substance. Then simply cut a point for the sword at one end. 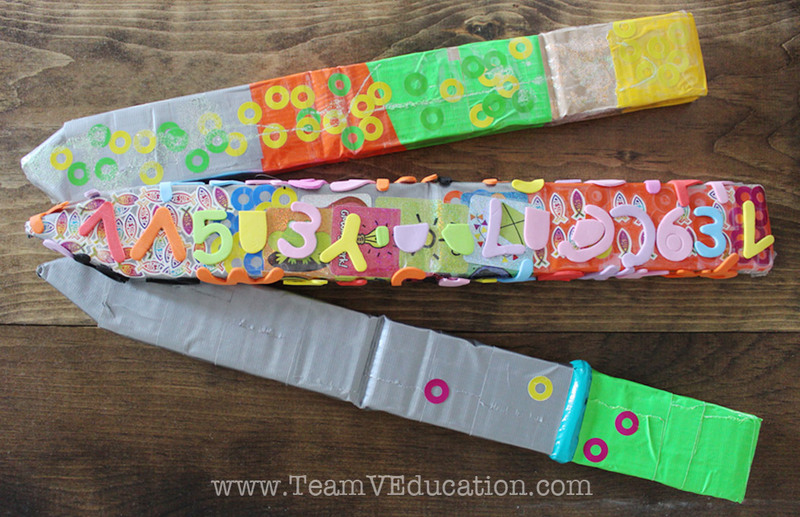 Use different types of tape, stickers (the kids enjoyed the reinforcements since they reminded them of gems), foam embellishments, glitter glue, etc. 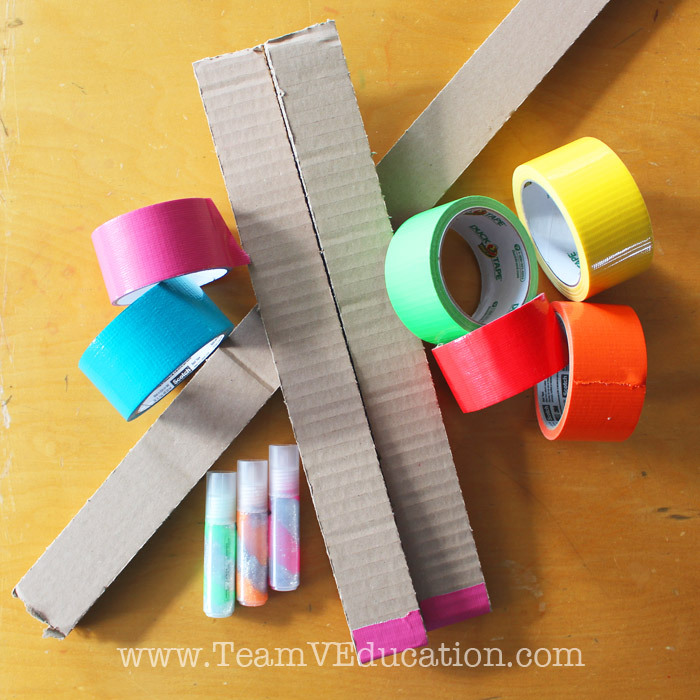 Using the clear packing tape, cover the decorations to seal them in. I did this primarily because I knew that the little ones might try to later pick off the stickers. You can see that one of the swords was doubly decorated with foam letter stickers after the packing tape was added. This project was a real hit! Have a sword fight (exercise safety!). Dress up as knights, pirates, or princesses. Present a play. Use your imagination! Our swords have been going strong for months now. They are still a favourite for imaginary play. It never ceases to amaze me how children can make something from nothing. An idea is born and through planning and enough patience and creativity, great ideas and projects are made.